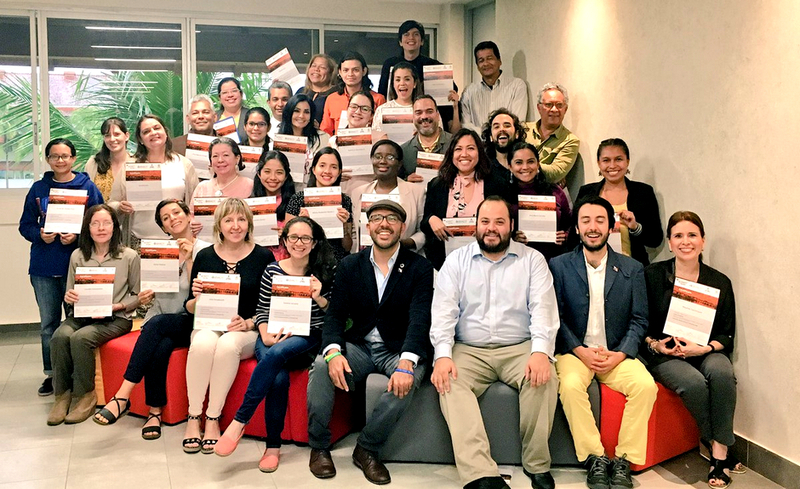 For this sixth edition of our Science Reporting Workshop, Reach and Turn, we partnered with UNESCO, the City of Knowledge Foundation, and the National Secretariat for Science, Technology and Innovation — returning to Panama as a side event of the second Latin America and Caribbean Open Science Forum (CILAC). 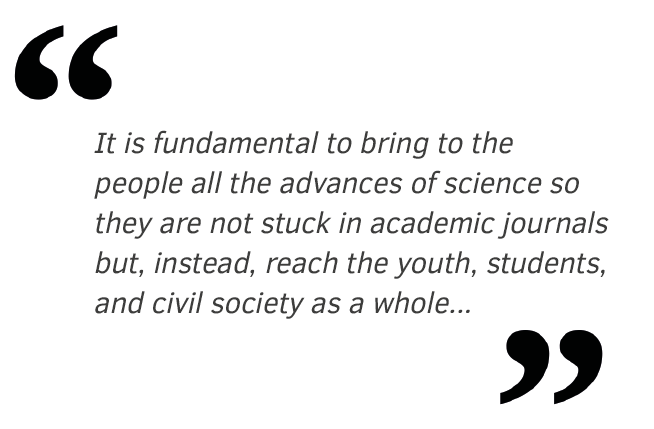 In this edition we focused on the role of academic activism, the use of social media for communicating science, and the road ahead for science communication in Latin America and globally. All science reporting sessions were led by Diego Salama (UNU-MERIT), Dante Licona (WHO), Prof. Carlos Cadena Gaitan (UNU & EAFIT) and Rella Rosenhain (SENACYT Panama). With these words from Dr. Lidia Brito, UNESCO Regional Director of Science for Latin America and the Caribbean, our workshop was opened. She reminded the participants that the ultimate goal of science has to be to improve the society it works in. We returned to the beautiful Ciudad del Saber (City of Knowledge) and as we walked through what was a military base and now is a sustainable development hub we were reminded that this campus is emblematic of the triumph of science and peace. Over the course of three days, we delved into the challenges of science communication, the need for academics to climb down from their ivory towers, and how to use social media to communicate our work. We had some 50 participants from Argentina, Venezuela, Costa Rica, Uruguay, USA, UK and Panama. They were communicators, journalists, policymakers, UN and UNU Staff. The overarching modus operandi of Reach and Turn is to foster a horizontal dialogue where we all learn from each other. All sessions were highly interactive and we had a very engaged audience eager to share their experiences and build bridges. On the first day, we started by having a conversation on the state of science communication. The participants concluded that communicating science is more important than ever, given the rise of ‘post-truth’ narratives. Indeed, there seems to be an erosion of trust in academic expertise. The response should be a coordinated effort, which breaks open silos and gets journalists, communicators and academics to work together – to communicate research beyond traditional means. Additionally, by means of interactive activities throughout the day, we highlighted the importance of network building. Another important question is, how can science be properly communicated with limited resources? This was addressed by Rella Rosenhain and Prof. Carlos Cadena Gaitan. The former explained the state of science journalism in Panama and discussed how participants can support efforts made to make research more accessible to the general public and policymakers. This was complemented by Prof. Gaitan, who gave examples of high-impact campaigns executed across his native Colombia. Next, participants were divided into groups and tasked with developing a campaign for communicating science, which was then presented to all the participants. These were very small prototypes but the exercise served to show how partnerships can be launched and steered. One particular instrument discussed in the workshop was social media. Senior Communications Officer and trainer, Dante Licona, discussed the importance of the different platforms and how they should be used. From Twitter to LinkedIn and Instagram, it is clear that we must understand the intricacies of each if we are to exploit their benefits. We looked at some of the best practices of the WHO and discussed how those can be extrapolated into the work of the participants. Mr Licona also gave participants practical tips for making videos with their smartphones and how to develop their personal communication skills by way of creating a video of an elevator pitch. This day added value for participants who discovered not only the importance of social media but also that using these platforms to communicate science can be very fruitful (with the right amount of creativity and planning). Our discussions served as a prelude to the CILAC Forum, which gathered more than 400 participants from Latin America and the Caribbean to discuss Science and the 2030 Agenda. The overarching agenda of the Forum revolved around sustainable cities, resilient territories and bio economy. UNU was represented at the main event across three high-level panels. Prof. Cadena Gaitan joined a discussion on the role Science, Technology and Innovation should play in building smart and sustainable cities. Dr Ivan Galindo from UNU-BIOLAC in Venezuela shared his views at a roundtable on the bio economy in Latin America and the Caribbean. Finally, Shuan SadreGhazi from UNU-MERIT showcased his research at a high-level event on risk, investment and new business models. Diego Salama joined UNU-MERIT in May 2013. Prior to this he worked for the United Nations in Latin America at the Department of Public Information. He currently works as a Communications Officer and Research Assistant. 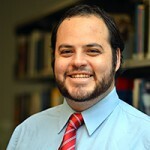 Diego holds a BA in International Relations from University College Maastricht and M.A. in International Relations with emphasis on History of IR from Leiden University.